A solid Main Character Throughline anchors this complete and well-written story. John Crowley’s Brooklyn, based on a novel written by Colm Toibin and a screenplay by Nick Hornby, tells the story of a young girl who leaves Ireland to find herself in America. Touching, compelling, and brilliantly acted, the film owes its worldwide adoration and critical acceptance to its finely crafted story. Only complete stories with fully functional structures garner this much attention. 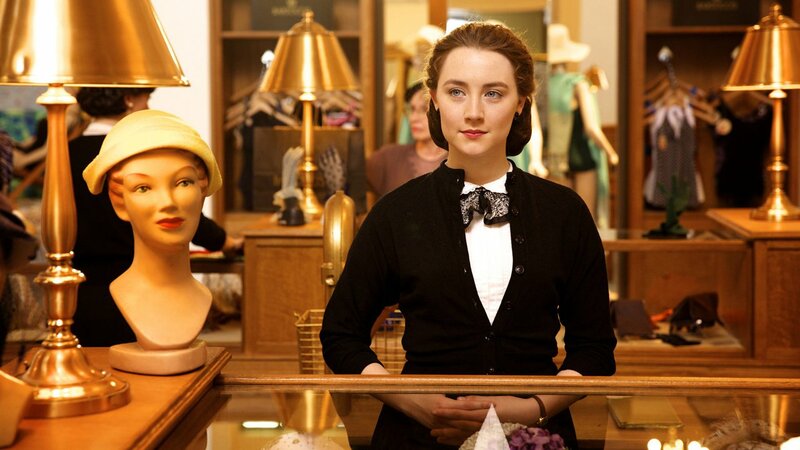 Perhaps the strongest indication of a solid story behind Brooklyn is the clear Act progression found within Main Character Eilis Lacey (Saoirse Ronan). While many stories stunt emotional growth within a character by either skipping over key signposts or blending areas of development together, Brooklyn carefully and methodically covers all the bases. As a result, the story feels complete and Lacey’s emotional journey fulfilling. When developing a character from a place of full justification at the beginning of story to a place where they can finally transform themselves, it is necessary for the Author to address the various contexts through which a Main Character can see their personal problem. Lacey’s Throughline in Brooklyn focuses on conflict brought about by a Situation: it’s only through her that we feel what it is like to be thousands of miles from home, and it’s only through her that we feel what it is like to be a woman in 1950s America. Her Situation is our situation and our emotional connection into the story. Situations can be broken down into four separate contexts: the Past, the Present, the Future, and How Things are Changing. This last one might seem a little off when compared to the other three, but suffice it to say that without it those caught in a Situation would have a hard time judging the other three. These four contexts represent the four different ways Eilis can address her Situation. The solution to her personal problems are in there somewhere, she just isn’t sure where to look. Four contexts, four different ways—four different Acts. This is, in fact, why a complete narrative breaks itself down into four movements. It is only after moving through all four that we feel as if we have seen everything; the story feels complete and we don’t feel as if there have been any story holes. Eilis begins her journey mired in the Past. As she leaves Ireland, she lingers on the fading coastline and though she steams towards America, seems stuck still in the Past. Longing for her family and the customs of home, she tears up when the Irish immigrant sings the songs of the old country. That entire first Act finds Eilis dealing with what once was. But then she meets a boy named Tony and suddenly we move into the next movement of her personal growth: How Things Are Changing. Not only do we see improvement in her love life, but things begin to pick up at work. Eilis impresses her boss with changes in how she deals with customers and her focus on bookkeeping classes and developing her education informs us that things are getting better for our Main Character. That is, until her sister Rose dies from an undisclosed illness. Suddenly we find ourselves—along with Eilis—forced into dealing with the Future. Who will watch over her mother now and what will become of her family? Before she leaves, her boyfriend Tony insists that they get married, only increasing the emotional conflict Eilis experiences trying to unravel her own Future. Once home, she meets and begins a courtship with eligible bachelor Jim. Now, she has two possible futures—two possible futures that can’t possibly exist together. And that is when Miss Kelly returns to remind Eilis of her marriage back in America to Tony. Once thought a secret that only she knew, Eilis is brought back to reality and the Present moment. No longer worried about what was, or how things are improving, or what will come, Eilis completes her emotional journey by focusing on the here and now. …one day the sun will come out. You might not even notice straight away, it’ll be that faint. And then you’ll catch yourself thinking about something or someone who has no connection with the past. Someone who’s only yours. And you’ll realize…that is where your life is. As an Audience member we experience Eilis’ emotional journey with her. That feeling of completeness comes not simply from her reuniting with Tony, but rather from her complete journey through all four contexts. Understanding where her life is (with Tony) is the only way the story could have ended; she had to end up focused on the Present. To return to the Past or the Future or How Things Were Changing would not only have been disastrous for her, but for the story itself and for those of us experiencing the story. Effective narrative informs us of the best way to solve our own personal problems. By experiencing this journey with Eilis we come to understand that a focus on the Present can help us overcome being stuck in the Past. Her letting go can be our letting go, and in doing so we can know that same feeling of emotional relief.